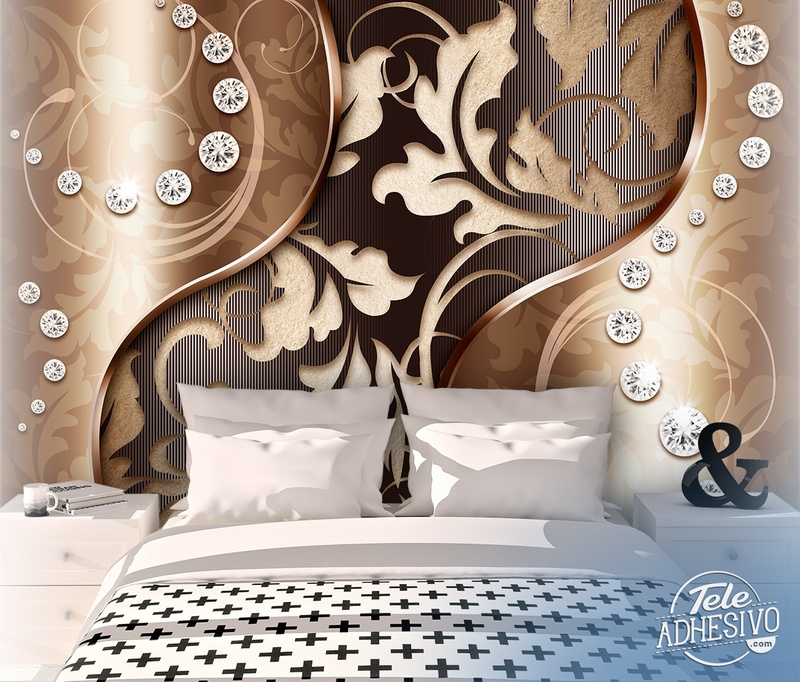 Wall mural Diamond blades. 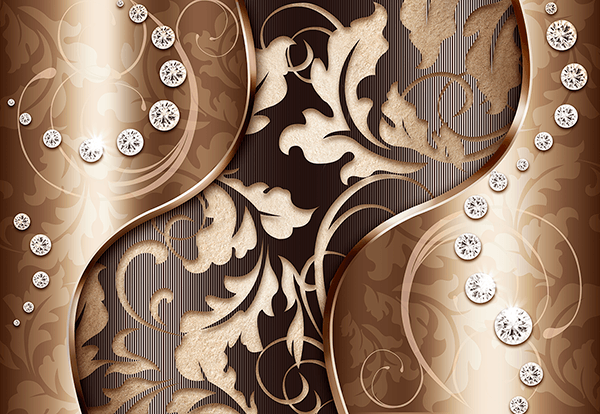 Elegant and stately mural in which two metallic pieces with motifs of inlaid leaves and diamonds predominate. In the centre, in combination, a dark fibre contains light brown leaf patterns, which look perfect with diamonds on the sides.